The centrepiece of NBCC Mobile First Technology initiative (MFTi) is its dedicated research facility, the Mobile Ideaspace. 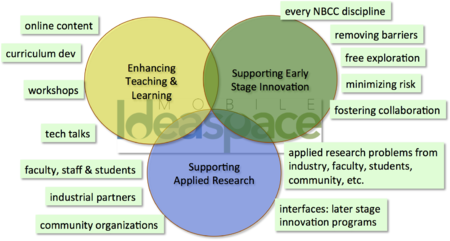 The Mobile Ideaspace is comprised of both physical and cyber infrastructure that spans all six of NBCC’s campuses. This scope allows MFTi to efficiently leverage the skills and expertise of NBCC’s faculty, staff, and students across the whole College; and to interact efficiently with research partners across the province. MASAS - Multi-Agency Situational Awareness System sandbox provided by Canadian Public Safety Operations Organization (CanOps). 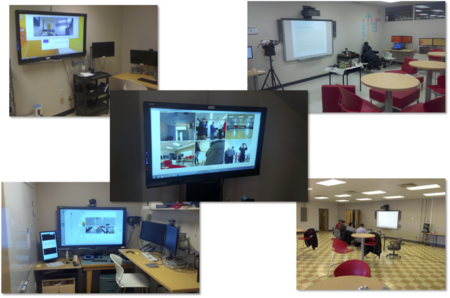 The Mobile Ideaspace is used for MFTI’s applied research projects and as an open door, innovation and collaboration space for NBCC students, faculty, and staff. This page was last modified on 19 April 2017, at 19:09.